The paper is a response to an argument made in John J. Mearsheimer’s book "The Great Delusion: Liberal Dreams and International Realities" that, in international relations, liberalism will always lose to nationalism. He founds his argument on the idea that nationalism draws its strength from human's survival instinct. That survival is of overriding importance to both individual humans and the social group. He juxtapositions our survival instincts with our need for individual autonomy, or freedom. Liberalism is founded in individualism. Because survival trumps individualism, nationalism trumps liberalism. He uses a concept that there is a set of universal "first principles" that, when elaborated on, are essentially human values. Mearsheimer uses philosophical texts to make his arguments. My counter-argument is that liberalism and individualism are just as powerful as nationalism and collectivism under the right conditions. I use the Human Development Index (HDI), World Value Survey, and Polity IV data to argue that survival and individualism are ends of a spectrum that can be related to the conditions a population experiences. Between 1981 and 2015, the world faced the intensification of international migration flows. These flows are related to shifts in the values of the respective populations. 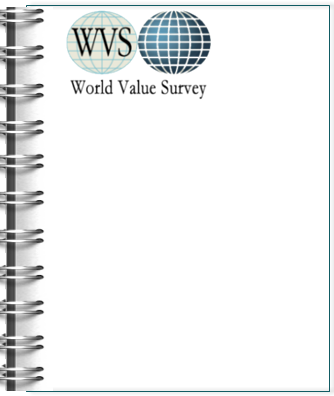 This article analyzes differences and changes in migrants’ values compared to non-migrants, for developed and developing countries, using the World Values Survey (1981-2014). I pursue three hypotheses: (1) migrants’ values in developing countries changed less than those in developed ones; (2) there are substantial differences be-tween migrants’ and non-migrants’ values; (3) most countries are moving toward stronger post-materialist and autonomy values, but this trend is more pronounced in developed countries. Results show markedly different values between migrants and non-migrants: migrants tend to be more post-materialist and less autonomous than non-migrants. Recent years have witnessed a growing interest in the role of the historical family as the instigator of disparate developmental trajectories. However, more work is needed to underpin these findings within comprehensive and robust data quality frameworks. Using a novel historical database of the European family we show that countries starting out from more patriarchal family structures in the past exhibit more hierarchical gender relations, more collectivist mindsets, and lower levels of economic and human development today. Given the irreversibility of these relationships, we argue that historical family patterns set countries on vicious-vs.-virtuous trajectories leading to divergent developmental outcomes today. Citation: Szołtysek, M. & R. Poniat (2018). “The Power of the Family: New Data Reveal the Role of the Historical Family as the Instigator of Disparate and Lasting Developmental Trajectories” World Values Research 10(1):1-39. Welzel, C.; Inglehart, R.; Kruse, S.
Dahlum and Knutsen (2015) claim to disprove the emancipatory theory of democracy proposed by Inglehart and Welzel. This theory posits that rising emancipative values are a major force driving the emergence and flourishing of democracies. Dahlum and Knutsen believe to falsify this claim by running panel regressions over a time-pooled cross-sectional database. Contrary to their claims, our re-analysis demonstrates that this type of regression analysis is inherently incapable to capture co-evolutionary dynamics that follow a "tectonic tension/eruption" model: rising emancipative values bring mass demands for democratic freedoms into a slowly growing tension with stagnant supplies of them, until a point is reached at which eruptive regime changes shift the supplies into equlibrium with the demands. We present fresh evidence showing that reality strongly conforms to this model, whose logic is beyond the comprehension of panel regressions. We conclude that the evidence supports the emancipatory theory of democracy as powerfully as it did in Inglehart and Welzel’s (2005) original analyses. Key words: emancipative values, democratic freedoms, democratization. Dülmer, H.; Inglehart, R.; Welzel, C.
Inglehart and Welzel (2005) argue that modernization moves in two phases. The transition from agrarian to industrial society fosters a shift from ‘traditional to secular-rational values’, the transition from industrial to postindustrial society a shift from ‘survival to self-expression values’. We test for the first time the measurement model and the explanatory model of the theory in a multilevel framework. To obtain a reliable measure, four items and the assumption of orthogonal value dimensions need to be given up. Testing our new, reliable measure confirms the explanatory component of the theory. Based on the new dimensions, societies and their culture zones are aligned on the cultural map more clearly along a diagonal that reflects economic development; disturbances by culture zones appear much less pronounced. Word count: 8,020 (version accepted February 20th 2015). Kistler, D.; Thöni, C.; Welzel, C.
Measures from standardized surveys are the main data source for cross-cultural research. Yet, a direct link between survey responses and individual behavior is rarely observed. We study the link between values and various forms of pro-social behavior. We invite the respondents of the sixth wave of the World Values Survey in Germany to participate in an online experiment. The experiment consists of a series of incentivized games and allows us to study the link between survey measured moral values and behavior. The evidence boils down to three findings. While emancipative values motivate higher common pool contributions (1) and higher donations to charitable organizations (2), secular values inspire more productive and less protective investments (3). We argue that incentivized behavioral experiments offer a promising complementary tool to measure cross-societal differences, with the distinct advantage that the underlying decision situation is defined by formal rules and payoff functions, which are independent of language and cultural context. Word count: 8,568 (version accepted September 10th 2015). Many political culture researchers claim that democratic values are universal and worldwide democratization hence only a question of time. This universalist position has recently been challenged. Proponents of a pluralist position refer to cultural differences between civilizations and argue that some political values impede global democratization. Still other authors emphasize transcultural processes that lead to political hybridization rather than democratization by Western standards. These three positions have not yet been systematically confronted with empirical evidence. This article provides such an assessment of the current global pattern of political cultures. The (dis)similarities of up to 57 countries in terms of political values are mapped using data from the World Values Survey (2005-2008) and multidimensional scaling. The results show that while some democratic values do seem to be global phenomena, there is also evidence for regional variation and hybridity, especially regarding non-democratic values. Key words: global map of political cultures, democratization, world culture, civilizations, hybridity. Word count: 7,124 (version accepted August 16th 2015). Structural equation modelers judge multi-item constructs against three requirements: (1) multiple items converge in a single dimension; (2) individual-level patterns of item convergence are invariant across countries; (3) aggregate-level patterns of item convergence replicate those at the individual level. This approach involves two premises: measurement validity hinges solely on a construct's internal convergence and convergence patterns at the individual level have priority over those at the aggregate level. We question both premises (a) because convergence patterns at the aggregate-level exist in their own right and (b) because only a construct's external linkages reveal its reality outreach. In support of these claims, we use the example of "emancipative values" to show that constructs can entirely lack convergence at the individual level and nevertheless exhibit powerful and important linkages at the aggregate level. Consequently, we advocate a paradigm shift from internal convergence towards external linkage as the prime criterion of validity. Key words: equivalence, external linkage, internal convergence, validity. Word count: 7,216 (version accepted October 1st 2015).